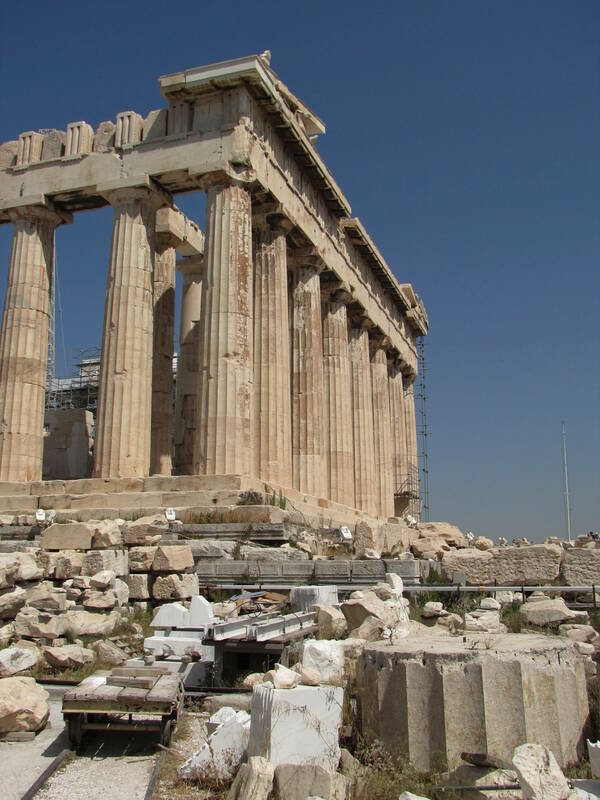 It seems that most visitors to Greece spend just one day in Athens, visiting the Parthenon and shopping in Plaka, the adjacent pedestrian quarter, before catching a boat or a plane to the islands. This seems to be cutting it a bit short. Athens deserves two full days in my opinion. I spent four, and they were not wasted. 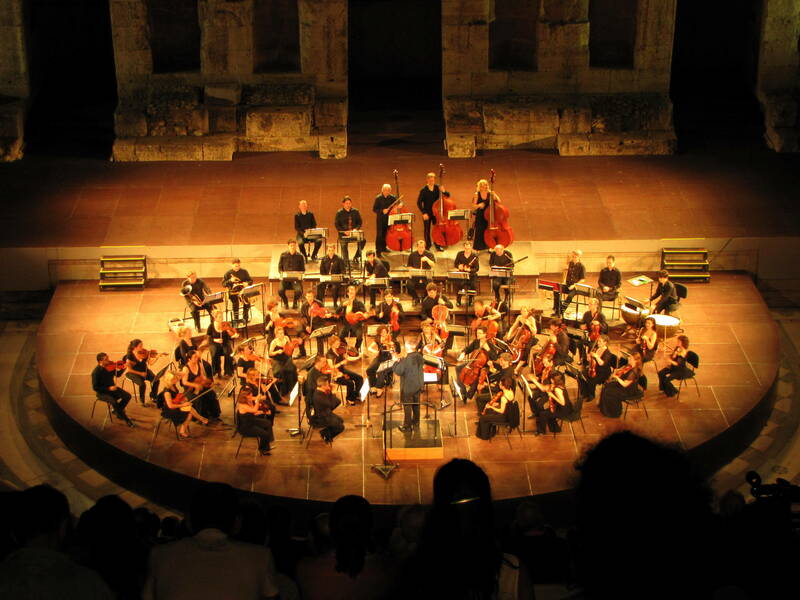 My own trip began with me landing in Athens and checking into my hostel, the always-busy Athens Backpackers (book several days in advance), only to learn that that Odeon of Herodes Atticus, built into the city’s famous Acropolis Hill, was hosting a classical musical concert that evening as part of a tribute to Hungarian composer Franz Liszt. The Odeon is normally closed to visitors, so I couldn’t resist such a rare opportunity to attend, jet lag be damned. The acoustics: superb. The weather: a gorgeous summer sunset. 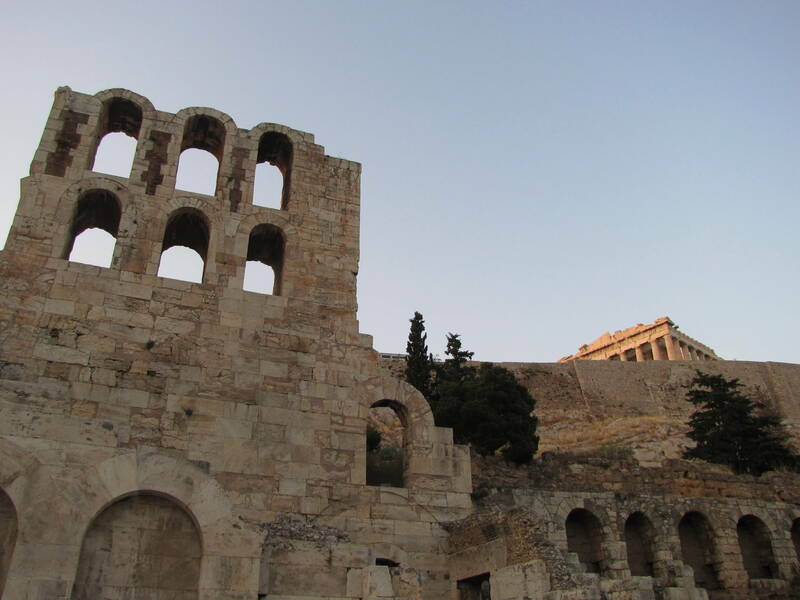 The surroundings: the Parthenon behind me and the Odeon’s centuries-old arches on three sides. What a welcome! I spent the next several days visiting sites planned (the Parthenon, the Agora, the Olympic Stadiums of 1896 and 2004) and unplanned (Lykavitos Hill, National Gardens, the Athens Fish Market). I toured the National Archaeological Museum, where it was forbidden to make funny poses in front of the statues inside. 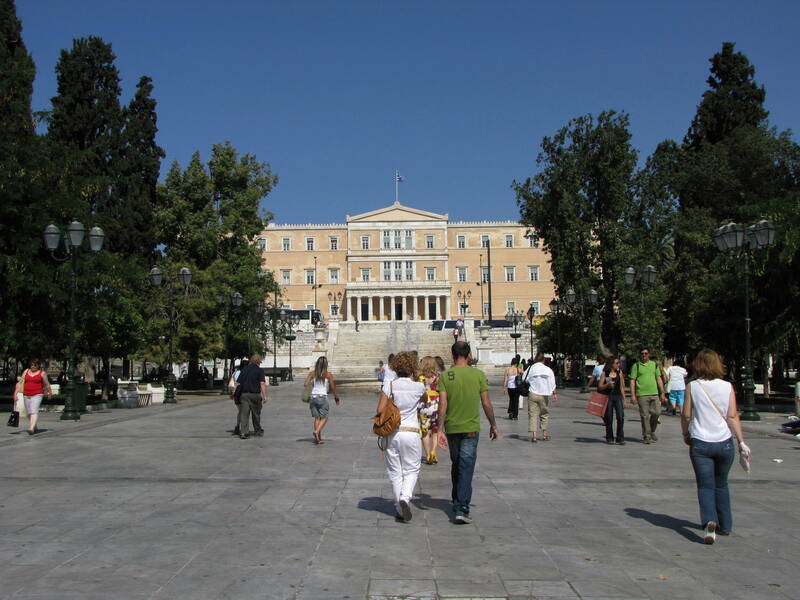 I watched the changing of the guard in Syntagma, aka Parliament Square. I rode the metro. I napped on park benches. I got truly and delightfully lost. I ate like a king. I caught a suntan that lasted for months. But what, really, can you expect from a city that was built around a series of hills several millenia ago, and added to haphazardly over the centuries that followed? 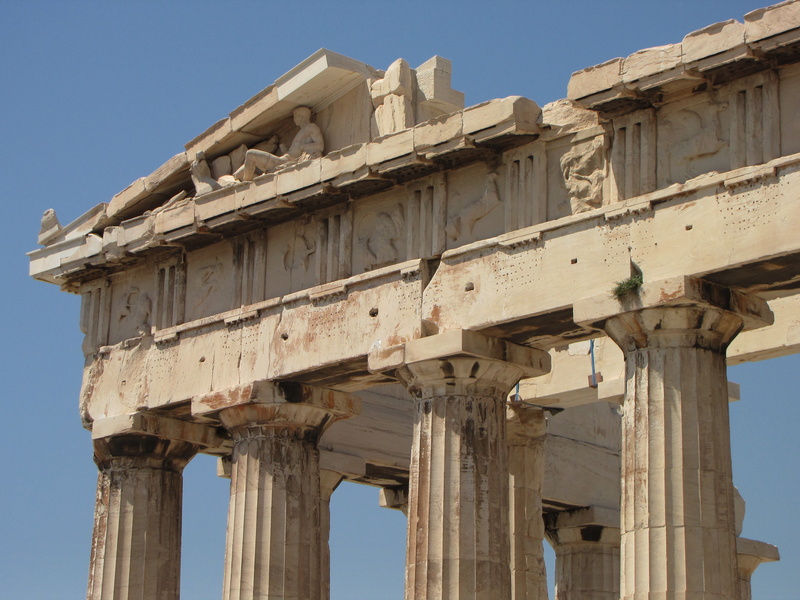 Athens is a city of history. If you let it, it will floor you. Rhodes, closer to Turkey than to mainland Greece, doesn’t get as many tourists as Mykonos, Santorini, and the other islands, but it still bustles with life during the summer months. I spent four wonderful days here, exploring seemingly every nook and cranny of the island’s medieval main city, Rhodes, and I even made it halfway down the coast to Lindos, home to a twin bays and to a hilltop Acropolis that rivals that of Athens. 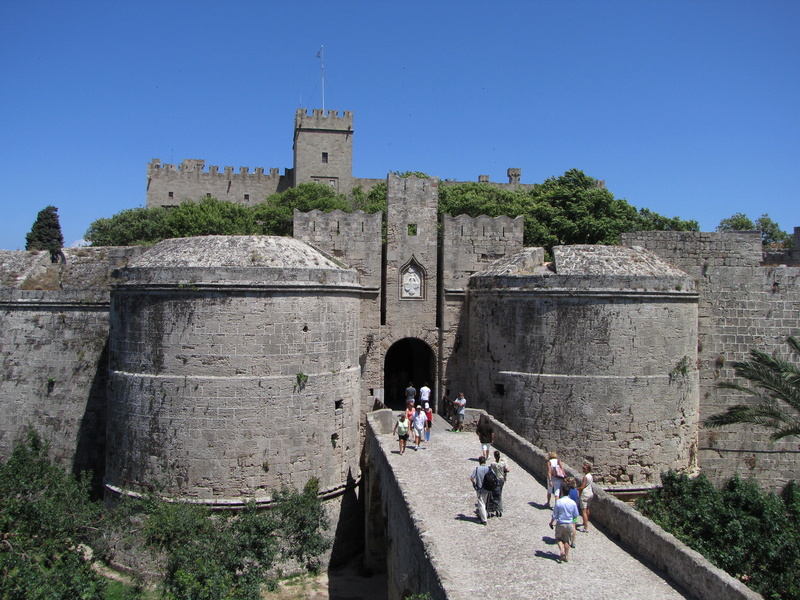 As for the aforementioned main city, the medieval quarter is almost entirely enclosed by a medieval wall, its fortifications so thick that the walls were never breached, despite several attempts to do so. Cars are not allowed inside the walls, so you can browse for sponges or stroll down the cobblestone Avenue of the Knights without fear of being run over. Even cooler, a hill west of the city houses its own Acropolis, as well as an Olympic stadium and some caves that would feel right at home in a Dan Brown novel. I lingered in this part of town for quite awhile, and found it a terrific sunset vantage point. 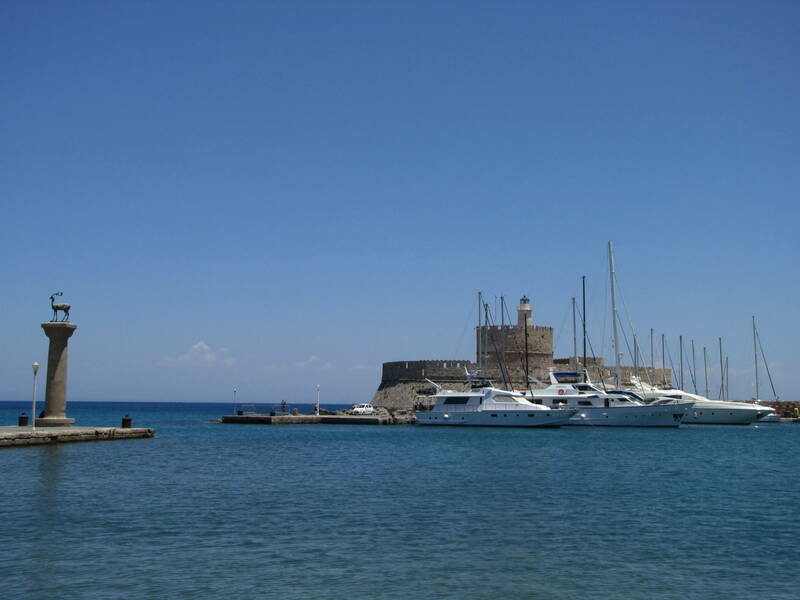 Rodos (Rhodes) is surrounded on three sides by water, so you won’t lack for beaches. That being said, the main bay (one of two) at Lindos, one hour by bus from Rhodes, features what may be my favorite beach in all of Greece. The water is shallow, crystal clear, and enclosed from the rough waves by a natural sea wall. As with other beaches in Greece, you must pay to use a beach chair (don’t worry, the money collectors will find you), but you will otherwise be left alone. ‘Tis all the better, for I can think of worse ways to spend an afternoon than by frolicking in clear water with the towering Lindos Acropolis dominating the view to one direction. 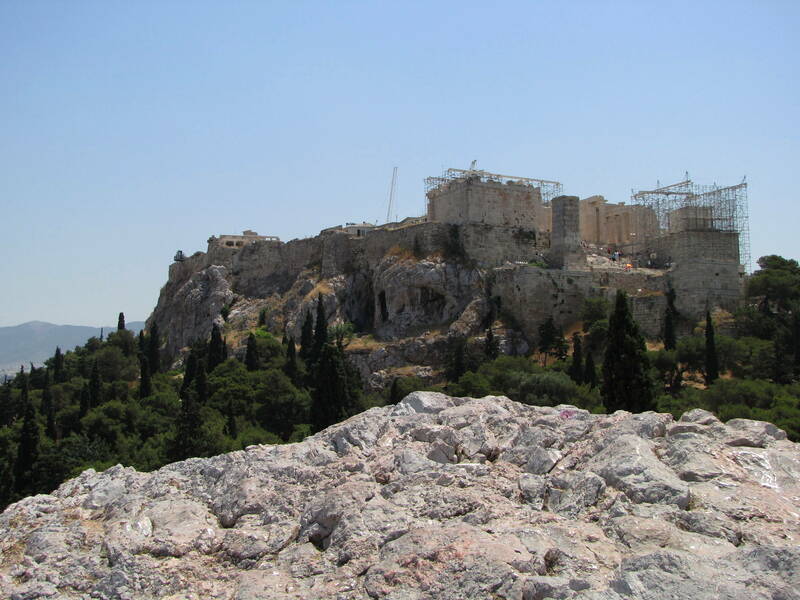 You can walk up to the Acropolis, which was being renovated during my visit and is in better shape that its Athens and Rhodes City counterparts. Bring water, and expect to pass donkeys along the way. 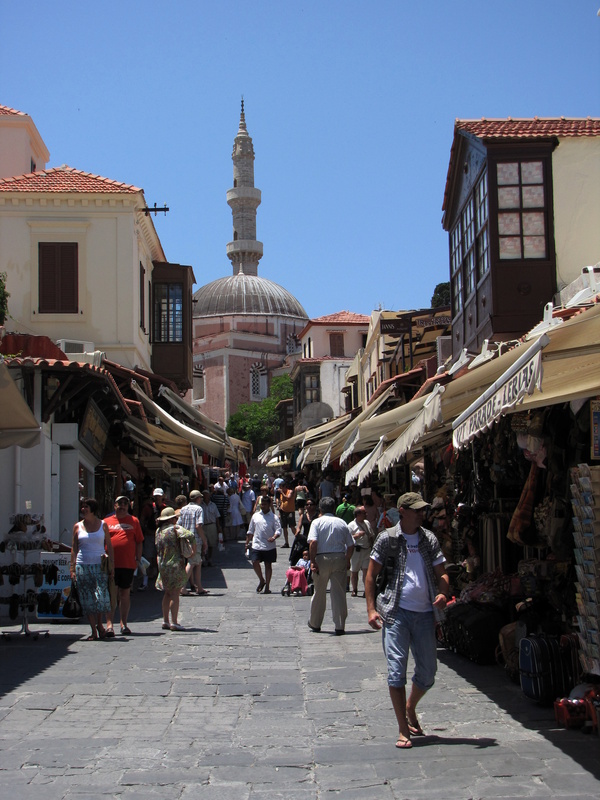 Rhodes, along with the other Dodecanese Islands, is a long way from Athens, and is best reached via plane (with daily connections to Heraklion, Crete as well; IATA: RHO). There was just one hostel in Rhodes at the time of my visit, and there appear to be three hostels today. I stayed at Mango Rooms, a budget hotel in a quiet corner of the walled city. The owner speaks English and I would stay here again regardless. 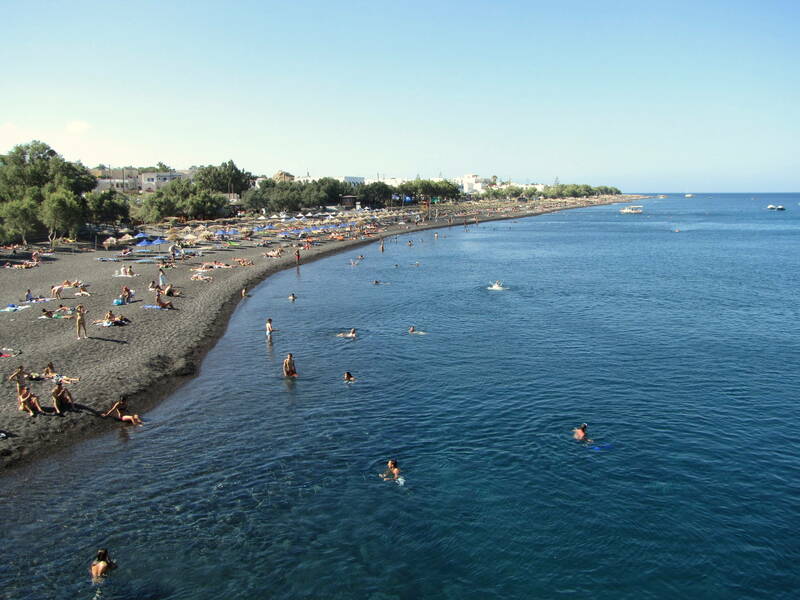 Crete, the widest island in the Mediterranean, is larger than many European countries. With its series of port cities, snow-capped mountains, and overnight ferry connections to the mainland, Crete even feels like its own country. This is not necessarily a bad thing; I spend more time on Crete than anywhere else in Greece, and enjoyed my time here the most. 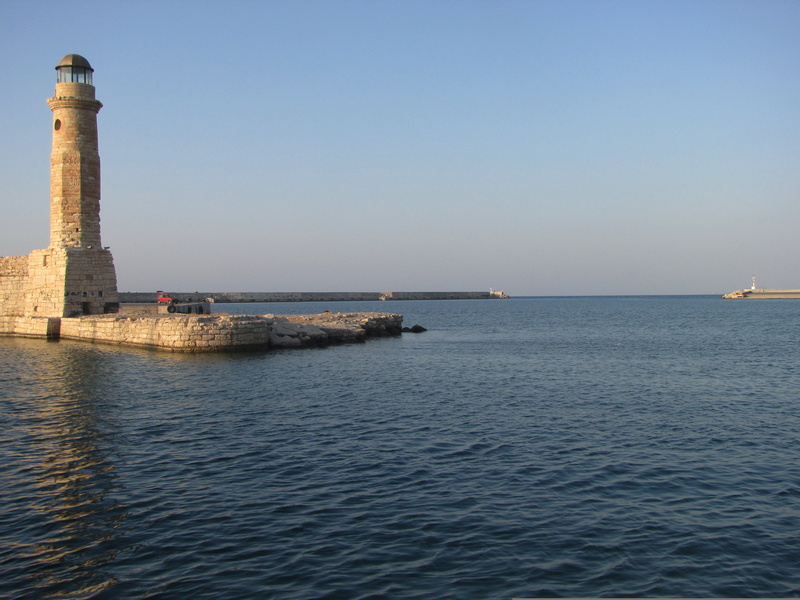 Heraklion, the gateway city and home of the island’s only international airport (IATA: HER), is built on a gentle hill that slopes upward from the harbor, which, like other cities on the island, has a fortress-like seawall that invites exploration. The pedestrian quarter bustles with people visiting its sidewalk cafes, boutiques, and covered stalls. 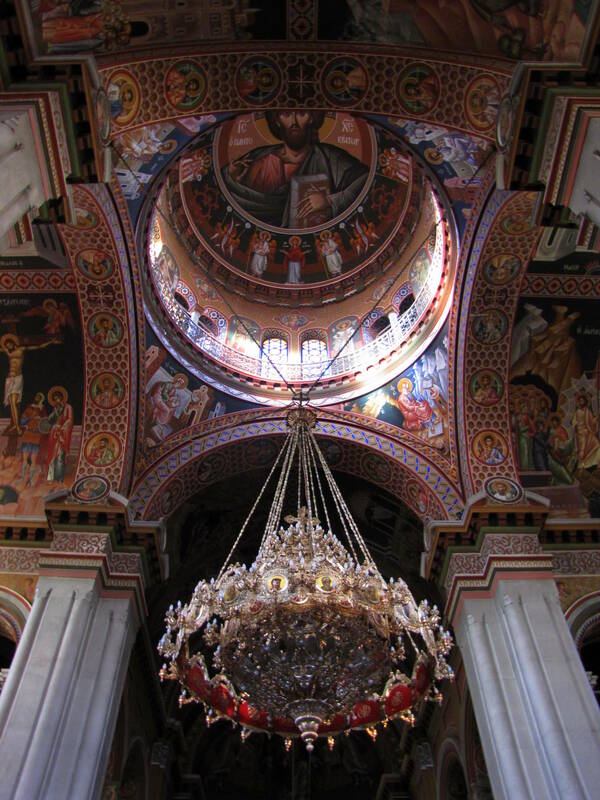 Meanwhile, kids kick soccer balls around plazas that front Greek Orthodox churches, the interiors of which are adorned, floor to ceiling, with frescoes that will make your jaw drop and your neck creak as you gaze upwards to take them all in. 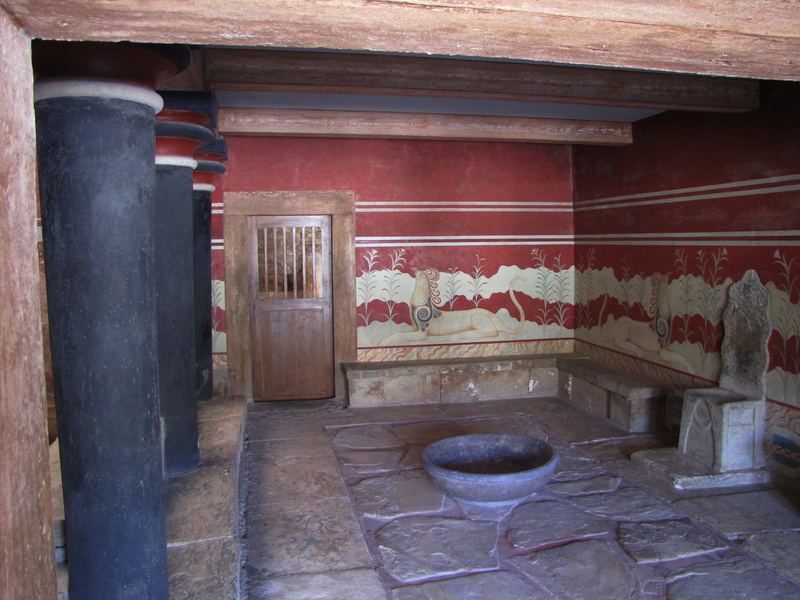 The Heraklion Archaeological Museum, which deserves an hour of your time, features artifacts from Knossos, the ancient Minoan city that supposedly was home to the half-man, half-bull Minotaur. Knossos itself, on the outskirts of Heraklion, is mobbed with tour groups during peak hours (my advice is to arrive early), but is unique among Greek ruins for its controversial reconstruction. I spent two nights in the bare-bones Kronos Hotel, then caught a bus to Rethymno, 90 minutes to the west. Rethymno earned a spot on my Top Ten Small European Cities and Towns list in an August, 2017 blog post. As with other cities in Crete, the Minoan culture was replaced by Venetian architecture, never more evident than when strolling around Rethymno’s harbor or wandering the grounds of its massive hilltop fortress, which is preserved in an atmospheric, semi-abandoned state. 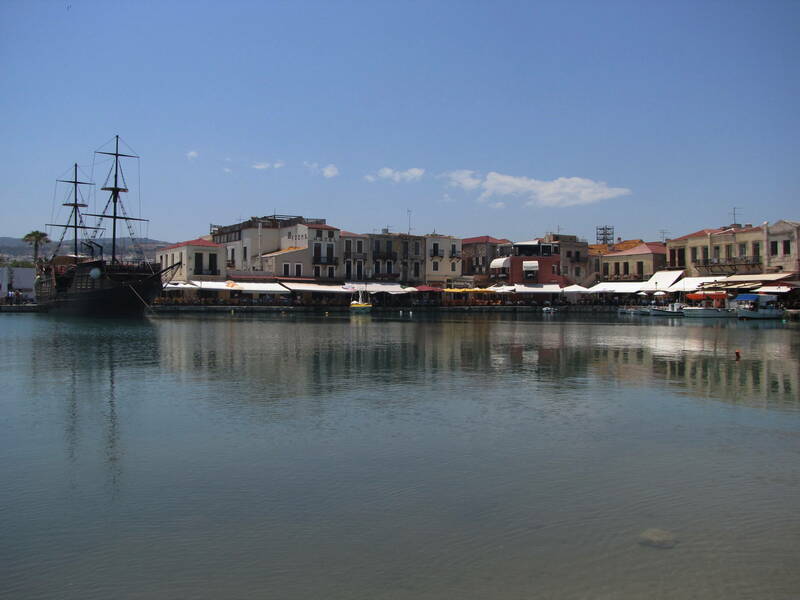 I spent a week in Rethymno alternate lazing on the city’s wide beach, east of the marina, drinking raki, eating souvlaki, and day-tripping. For the latter, I spent one day wandering the streets of Chania, a smaller port city an hour to the west (The “c” is silent), and another day tackling Samaria Gorge, a spectacular, Grand Canyon-esque hike from a mountain pass down to the Libyan Sea. Sure, the beach at the end of the trail was pebbly as opposed to sandy, but it didn’t matter. The water was calm and warm, and I felt as if I could swim all the way to Africa. Rethymno Youth Hostel, not far from Guora Gate entrance to the Old City, is a sociable place at which I met like-minded backpackers with whom I am still in contact today. Although it didn’t have air-conditioning at the time of my visit (this may have changed), I enjoyed my visit and would stay there again. 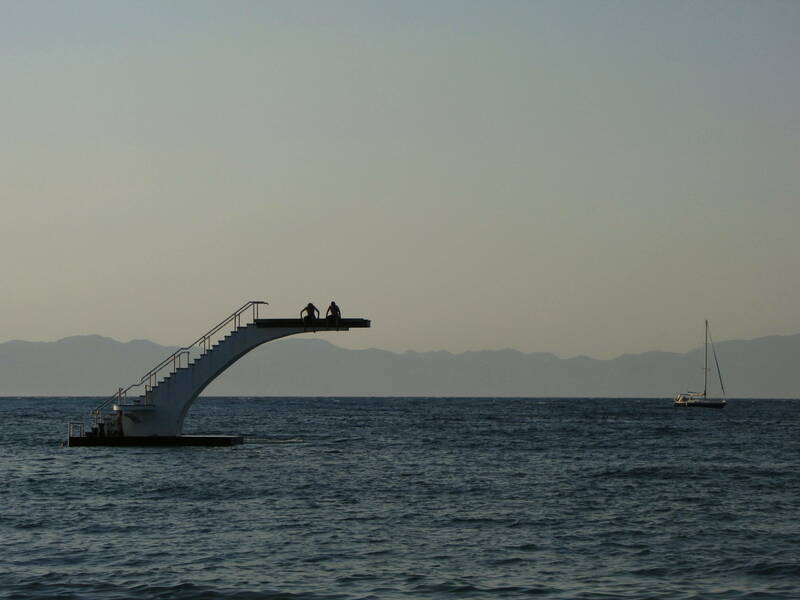 Welcome to the honeymoon destination of Greece. As seen from above, Santorini is a half-moon-shaped main island with a few secondary islands that would comprise part of the moon’s other half, fueling theories that the Lost City of Atlantis is really part of Santorini, collapsed under the sea after a volcanic eruption. (Indeed, one of the secondary islands, Nea Kameni, is a still-active volcano, and you can hike to its caldera.) 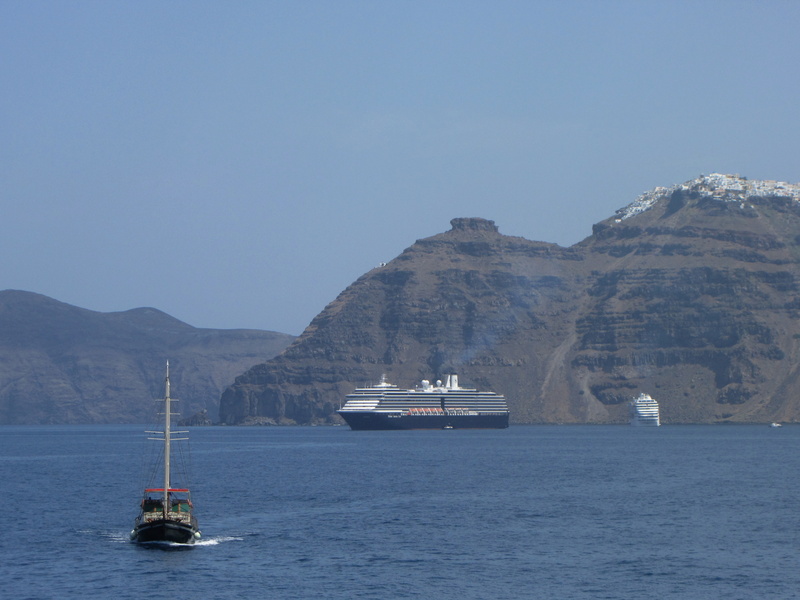 Seen from the sea, perhaps from one of the boats that connect it to Crete or to mainland Greece, Santorini is a large brown rock, capped by a “crown” of all-white houses 1,000 feet above. Although the white houses, common through the Cyclades Islands of which Santorini is a part, have become a stereotypical image when one thinks of the Greek Islands, in reality, Santorini is one of the most unique places in the world. 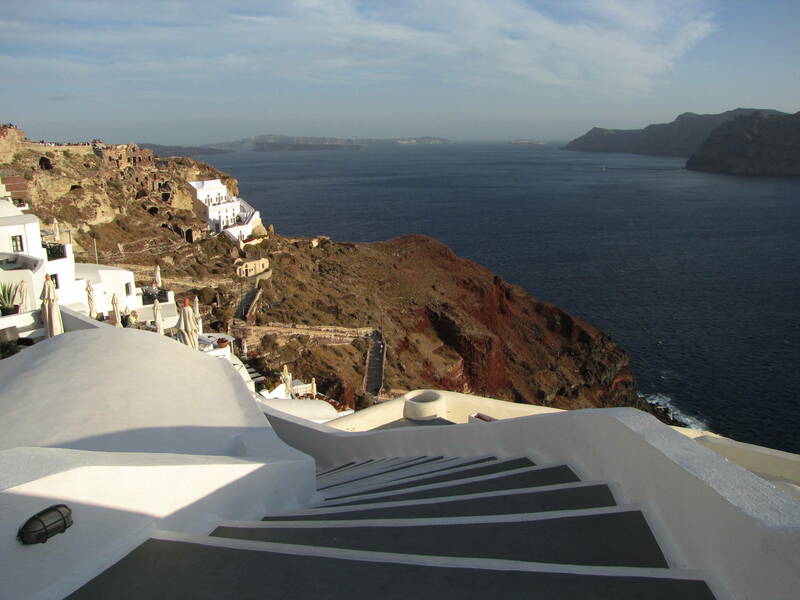 Santorini is home to black sand beaches, white sand beaches, and red sand beaches. 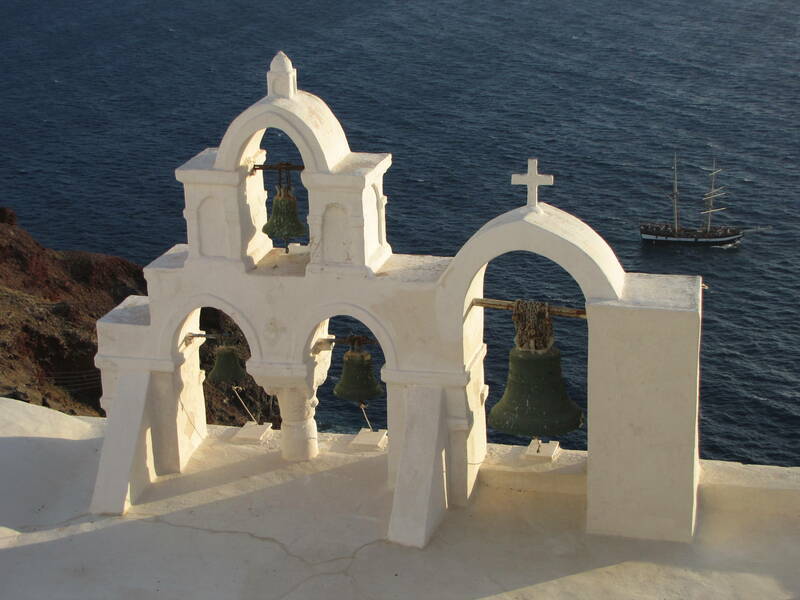 Santorini is home to an archaeological museum housing artifacts from two ancient cities. Santorini is home to olive groves and windmills. And, perhaps most famously, Santorini is home to some of Mediterranean Europe’s most renowned sunsets. Tiny Oia, 30 minutes north by quad bike from central Thera (Fira), seems to exist for the sole purpose of attracting tourists to take in the daily sunset, which is admittedly spectacular. But I rather preferred the twilight sky as seen from the lighthouse in the opposite direction (the lighthouse featured in the opening picture in this post). I do not recall the name of the guesthouse in which I stayed, except to say that it had a rooftop terrace, that it was a 20-minute walk from central Thera, and that it was just one block from the bus stop for transport to Santorini’s marina. And of course I can’t forget the hospitality of the guesthouse’s matriarch, who looked like Fiona from “Shrek,” or the beauty of her daughter, who looked like Scarlett Johansson. 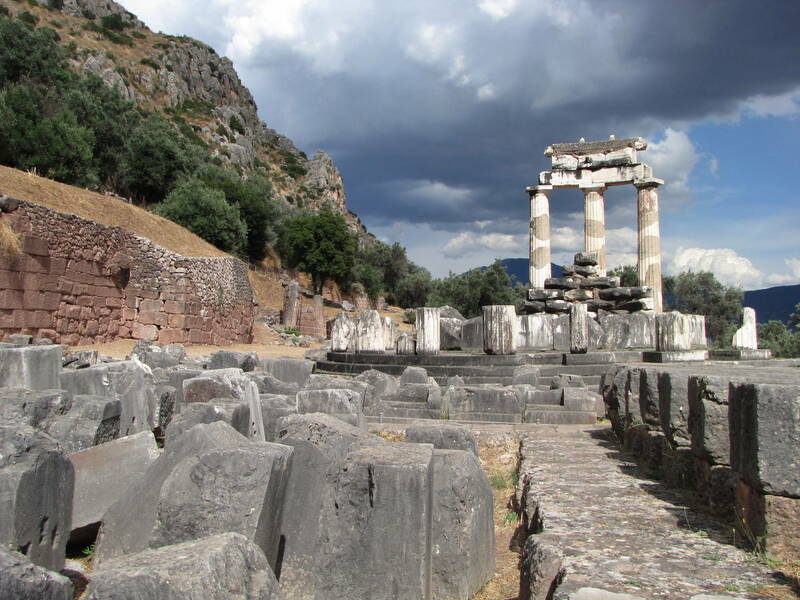 Traveling inland to see the ancient sites of Olympia and Delphi, each deep in the Greece countryside, was both nerve-wracking and awe-inspiring. 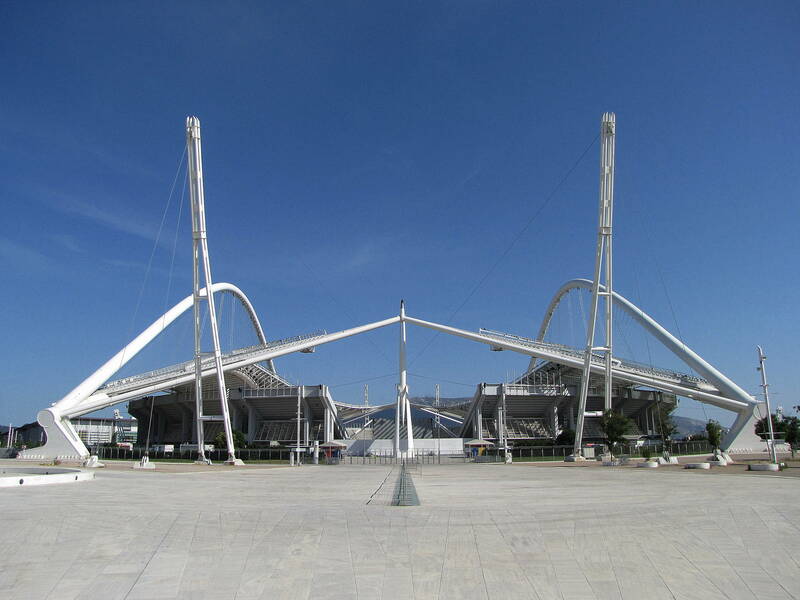 I returned to the Athens port of Piraeus via overnight ferry from Santorini, and hailed a taxi to the relevant long distance bus station (Athens has several, none of which are accessible by metro). 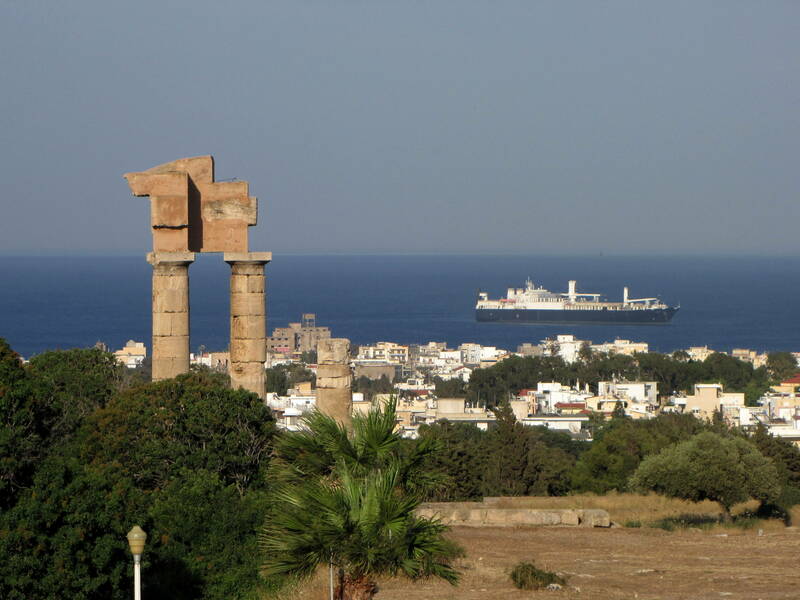 From here, I boarded a bus for the five-hour journey to Olympia, site of the world’s first Olympic games and of one another of the Seven Ancient Wonders of the World, the now-crumbled Temple of Olympian Zeus. Olympia is far enough off the beaten path that I had my spartan room at Olympia Youth Hostel all to myself, a good thing as I took the opportunity to hang my laundry out the window to freshen up. I can’t brag enough as to how much I enjoyed wandering around the ruins of Olympia, just across a dry creek bed from a town that is pleasant but forgettable. The ruins themselves are anything but forgettable, including the Stadion (Stadium), parts of which dates back to 776 BCE. A large, raised rectangular slab with one column still standing is all that remains of the Temple of Olympian Zeus, the largest temple of its kind in the Peloponnese region of Greece. 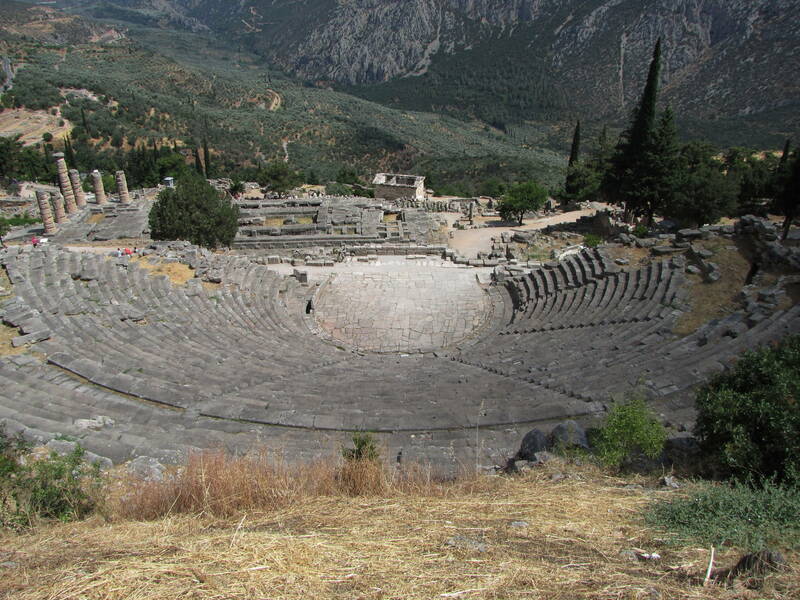 …and woke up before dawn to hail a taxi to the bus station at Pyrgos, 30 minutes away and the starting point for buses to Delphi. 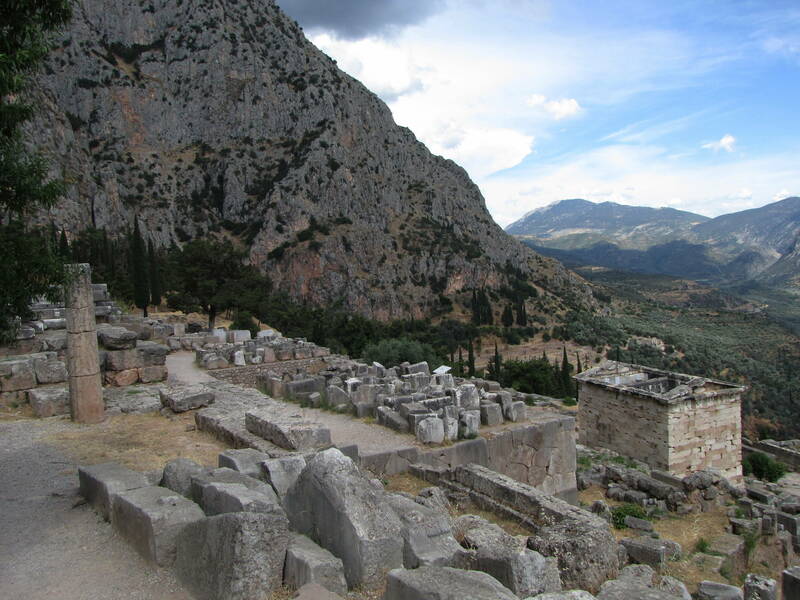 It was to be a long day: after touring the town and ruins of Delphi, I would continue onward to Athens and the end of my trip. Although long distance Greek buses make rest stops every two hours, it was frustrating to stock up on snacks at said rest stops only to be told by the driver that you were not allowed to eat anything on board. I settled for sleep instead, and missed my stop, waking up somewhere in the mountains above Delphi. 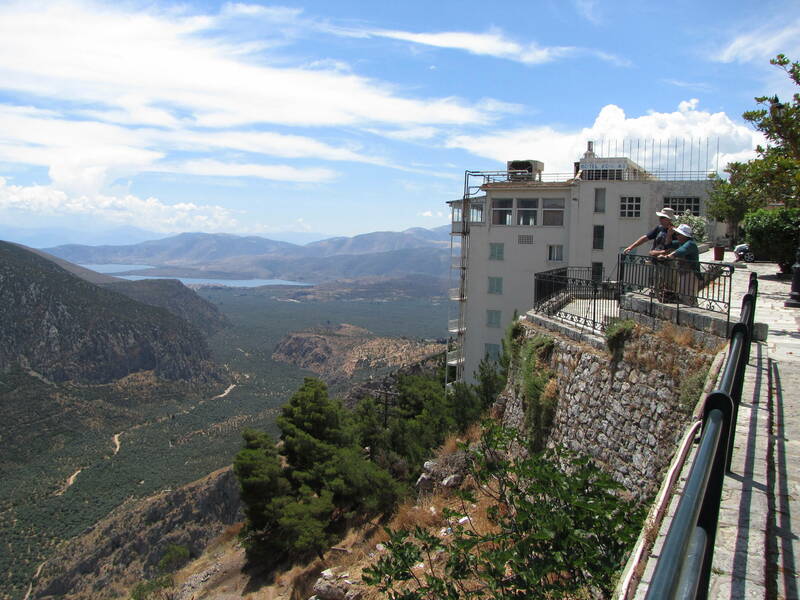 The driver was kind enough to let me out along the side of the road, where I hiked downhill to a service station, the only building for miles around, where the owner called for a taxi to take me to Delphi. 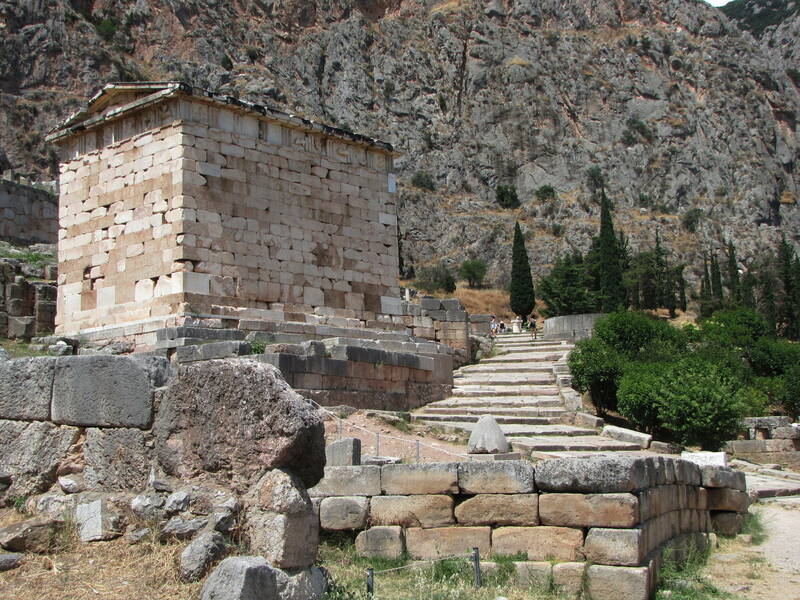 Fifty euros (58 dollars) and one sweaty cab ride later, I arrived in Delphi, stashing my pack in a taberna (tavern) and hightailing it to Delphi, a sprawling sanctuary to Phythia, a supposed oracle who was consulted about ancient matters large and small. 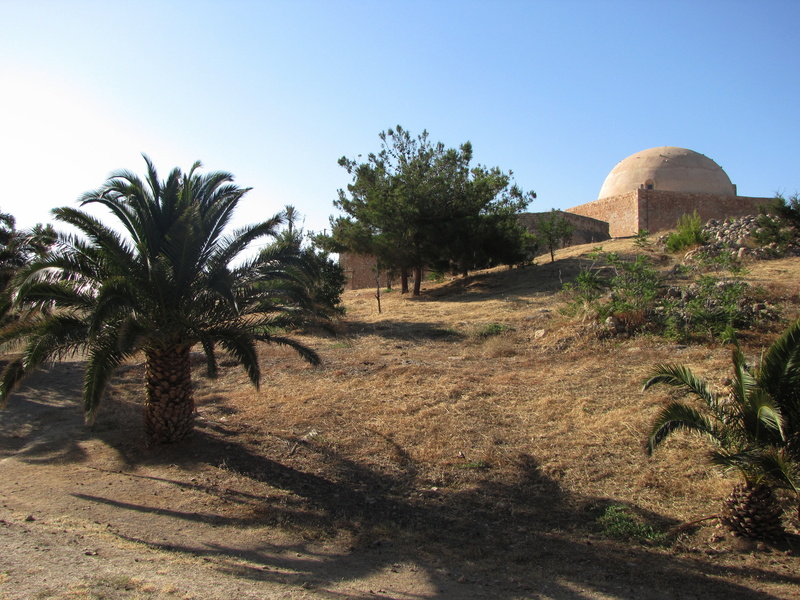 The ruins are spread over a large area and climb the slopes of Mount Parnassus. Highlights include the Treasury of Athens, the Temple of Apollo, the Ancient Theatre, and, at the highest point, a little-visited Stadium. 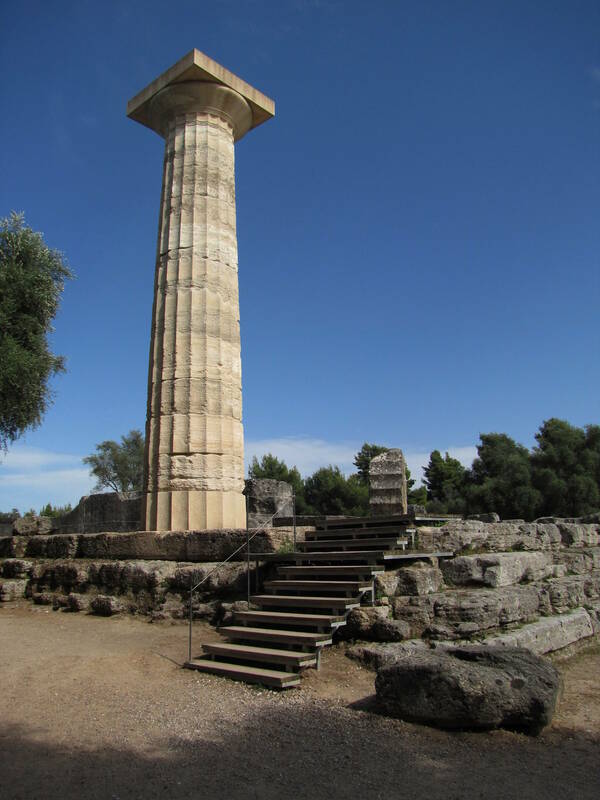 My favorite structure, located one-half mile down the road from the main cluster of ruins, is the Tholos, a sanctuary of over a dozen Doric columns, just three of which are still standing today. Greek food is among the best in the world, so it would be remiss of me not to make at least cursory mention of what I sampled. It should be known that the beer in the above picture is not Heineken, but Mythos, the number one brand throughout Greece. It is light enough to be drunk on the beach but heavy enough to complement a meal. Speaking of alcohol, I found myself served complimentary shots of ouzo after many meals. Ouzo is an anise liquor with a memorable taste and one helluva kick. I later learned that ouzo is often distilled from grapes, though it tastes nothing like the aforementioned dolmas. Few people have three full weeks to enjoy Greece the way that I did. I think you can take in a good deal of the country in two weeks, and even in 10 days if you were cramped for time. It might go something like this: Athens two days, Delphi one day, Santorini three days, Island #2 three days, with an extra day built in for transport or padding. And of course I haven’t seen all there is of Greece, either. 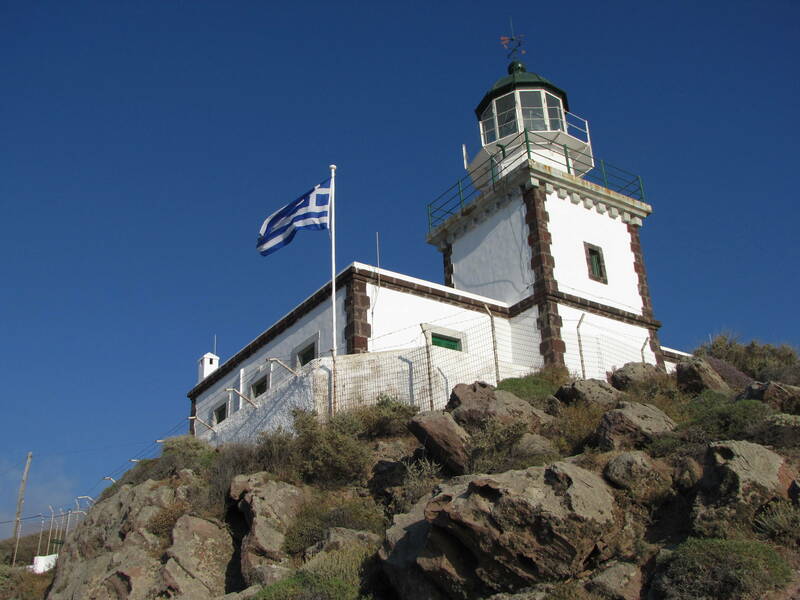 Experts on the country insist that I am missing out by not having not visited the Ionian island of Corfu, or – for nightlife and windmills – Mykonos, in the Cyclades. Kalamata, in the Peloponnese, is the birthplace of olives, and said to be a relaxing place, while Meteora, in the north of the country, is home to a series of cliff-top monasteries that have since piqued my interest. Thessaloniki, near the Albanian border, is a walled city that receives few foreign visitors, a fact that instantly earns it a place on my travel bucket list. In Athens itself, the Acropolis Museum, said to be one of the best antiquities museums in the world, opened on the day I flew home from Greece, so I have yet to check out its collection for myself. 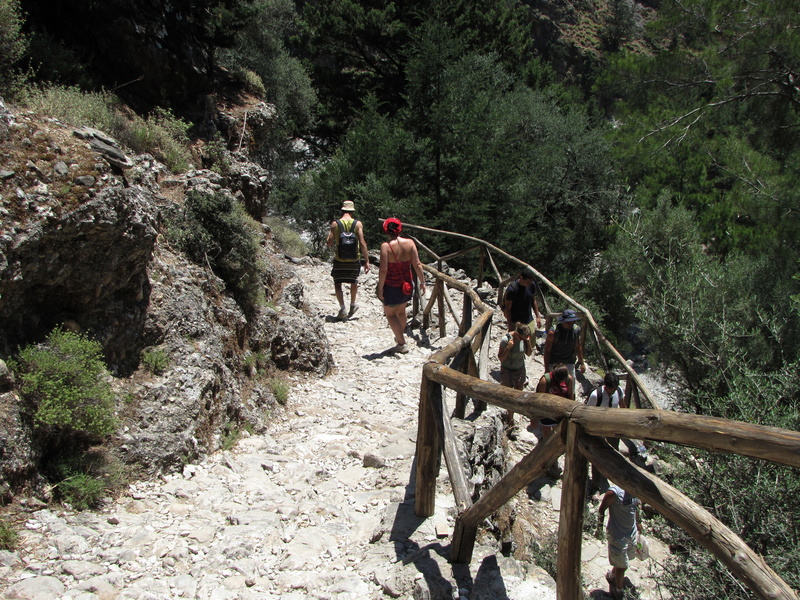 Finally, the two-day climb to Mount Olympus, the country’s highest peak, seems daunting yet doable. What sayest thee, Loyal Reader? Is Greece on your travel bucket list? I went to a Greek cruise with my family when I was around 10. I still have great memories of it. 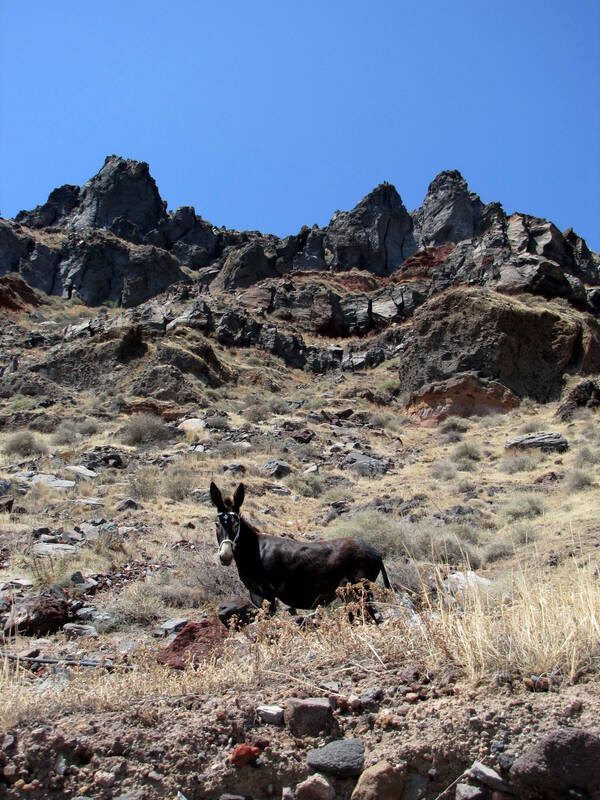 One of the best (being a kid) was that I rode a donkey up the hill in Santorini. Regarding tourism figures, keep in mind that Greece is much, much smaller than the countries you mentioned. Italy is 2.5 times larger in area; Spain and France are four times larger in area. Spain is four times larger in population. France and Italy are 6 times larger in population. Turkey is bigger still, in both area and population. (Greece can’t be compared to them because of the size difference; it’s more comparable to Portugal or Croatia or non-med Switzerland or Austria). In proportion to size, Greece is more touristed than Spain/Italy/France/Turley. The number of tourism arrivals in 2017 was about 28 million (28 million people spend at least one hotel night in the country in 2017). That number is 30 million when net cruise arrivals are included (people that visited by cruise and did not spend any hotel nights on land). (The figure you mentioned from the WTO is a bit outdated). This year, Greece is bracing for 32 million visitors. That’s the equivalent of Spain getting 120 million visitors, when Spain “only” got around 70 million a year, and Italy gets around 50 I believe. Still, being smaller than all these countries, Greece manages to hover around #15 in the world in international tourism arrivals, out of 200+ countries and territories. It’s not by any means off-the-beaten track, and many of the most heavily-touristed areas are places Americans have never heard of like Rhodes, Corfu, Kos, Zakynthos, or the Halkidiki peninsula, filled with sun-and-beach visitors from colder parts of Europe. Keep in mind that for all of Southern Europe, the lion’s share of the tourism arrivals is other Europeans, not Americans. And your German or British or Polish or Swedish family doesn’t think in terms of “Greece versus Spain” as an American would, but rather “we’ve already been to Mallorca three times, should we check out the Costa del Sol this year? Or Tenerife, or Crete, or Corfu, or Sicily, or Hvar?” And the larger countries, obviously, have more destinations. I encourage you to go back sometime, as Athens and the south Aegean don’t exhaust the country by any means. Although it’s only the size of Illinois or Pennsylvania, there’s far, far more architectural, historical, and landscape diversity around the country than you’d find in a similarly-sized US state. (The stereotypical white-cubic houses are only a specific region, as you already know) If you liked Athens, you’ll love Thessaloniki. Much better historic preservation (as far as newer historical is concerned, like early 20th century buildings) and it’s an artsy/college town with lots of bars and cafes. Next time, I would encourage the Ionian Islands, and/or Epirus region, and/or the southern parts of the Peloponnese, all worth a look. 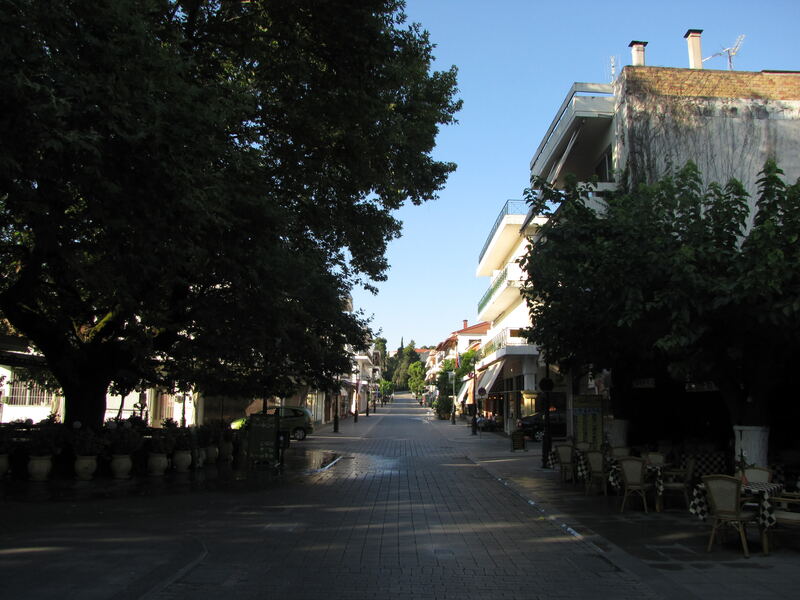 Regarding food: the key thing to do in Greece is go where locals go, not where tourists go. The highly-touristed places have traditionally offered inauthentic food that foreigners think is Greek, but Greeks don’t actually eat at home. Although, some really, really good, contemporary-Greek-cuisine restaurants have opened up in the more expensive touristy places like Santorini, Mykonos, or Corfu, so I’ll walk my advice back a *little*. But that just means: try a variety of places, and don’t be afraid to go where only locals go; those are more authentic. 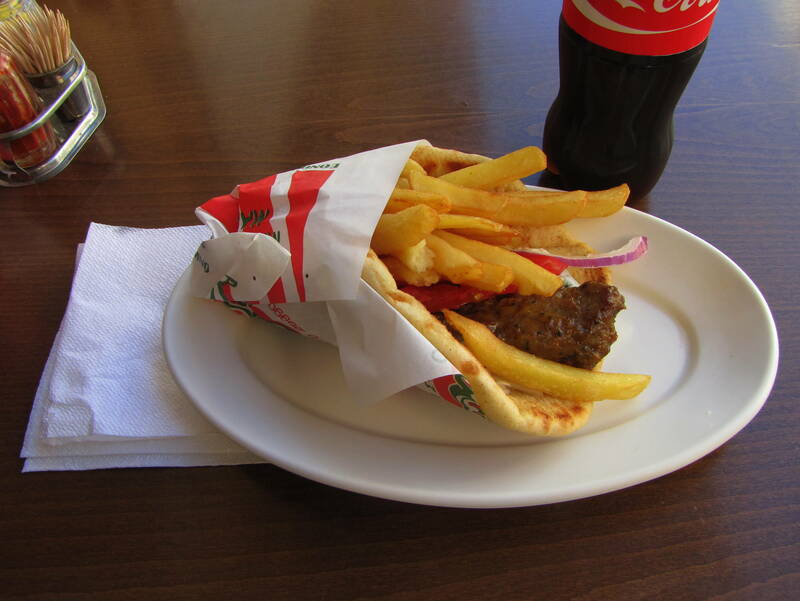 Kebabs (“souvlaki” in Greece) are generally considered street food, and not “home food”, and the “home food” is what visitors miss out on. 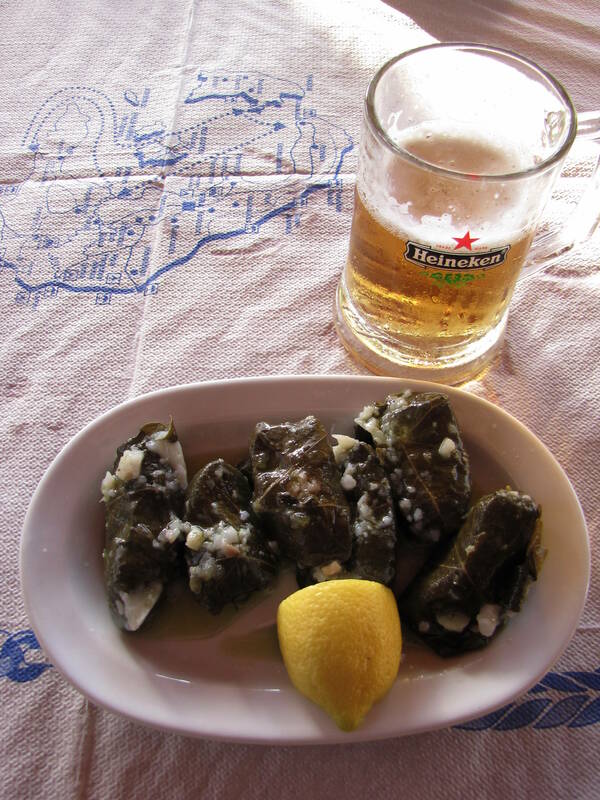 Regarding dolmades (dolma[s] singular, dolmades plural), they can be a meal *or* appetizer. When Greeks go out to eat at night, they order platters of appetizers…exactly the same concept as tapas in Spain. They’re called “mezedakia”. But some of those foods can be regular meals in a home. I wouldn’t call lamb a staple; it just sticks out to Americans, because Americas don’t eat it. Greeks eat pork and beef more often, *let alone* seafood and chicken. Lamb is expensive and is associated with Easter or as an occasional treat.